I am having so much fun with this mural! No rules- its my house and I can paint anything on the walls that I choose to paint. I will probably be working on this for a long time and adding elements as I think of them. 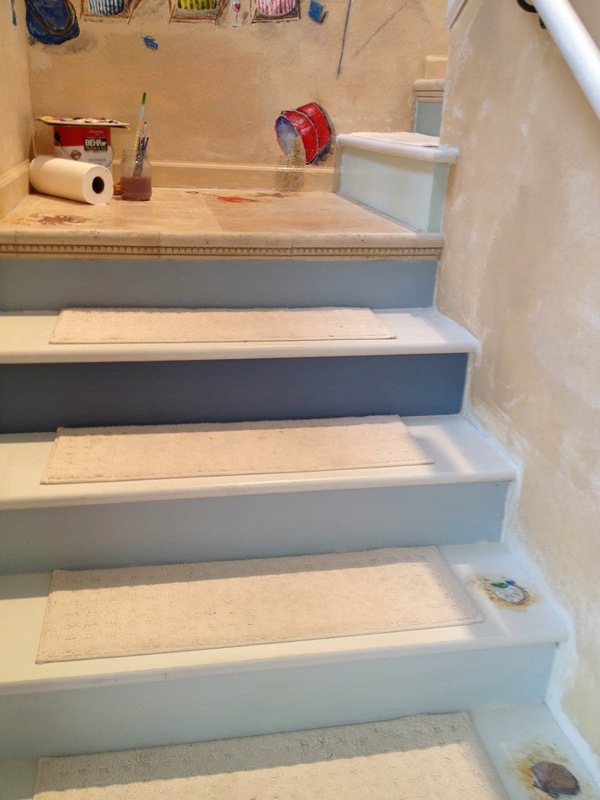 After all the hard work of building the stairs, it is truly fun to just paint. Hopefully, now that I am back to painting- watercolors will not be far off. For now, lots of walls and ceilings to take care of- with fun mural painting here and there. Its been a long time (like a year) since I posted! Just had a lot going on and no real time to paint. We moved into our house a few months ago, and hope to NEVER move again. We got a good buy on a home at the beach- good buy means lots of work to do. The first thing we did was tear up the stairs. Thick pink carpet with a runner on top. After we got all of that removed, we had to rebuild the steps to cover the bare plywood. I did not know that you could just go to Lowe's and buy stair treads and risers. Of course, it would help if they all just fit- but, every step was a little different measurement! My husband's problem was the actual construction. My job was painting them. I chose paint colors for the risers that had a sea glass feel- 7 shades of blues and greens. The treads are white. As soon as the stairs were painted and installed, it was time to start a beach mural on the three walls of the staircase. The bottom photo shows the beginning of the mural- step one. I will be posting the mural progress as I go along. This is pure fun for me, and I think it will always be a work in progress as I add elements to it. Anyway, I have been away from my blog for way too long and hope to stay with it! For now, I have some wallpaper to go peel off. Did I mention the house came complete with pink carpet, pink painted walls and wallpaper? Good thing I like projects, as I think this will take a while. Now, I am off to check out my favorite artist blogs- a little break, then to the wallpaper removal. We are off to Oahu, Hawaii for a week! Our son is stationed there- at Pearl Harbor/Hickam AB. I like to paint watercolor postcards when I go places, and they are fun and quick. This time, I also ordered some stamps to go on them with beachy themes from some of my watercolors. I have not ordered personalized stamps before, but it was easy and they arrived in just a few days. Looking forward to an awesome week with our sons and their wives! Aloha! After a period of no available time to paint, I got back to this project and finished it. It was really a lot of fun, even though it stressed me out during the process! I have no problem painting just for the fun of it, or to put for sale in my Etsy shop- but when I am painting for people I know, I worry the whole time that it will be what they are imagining. This project was a special request from my daughter in law, and the reference photo is one she took of her beach on Oahu at Pearl Harbor/Hickam AFB. What she loves most about it is the gorgeous turquoise color of the water, so I really wanted to give her that. This was definitely a larger scale than I usually paint, so it challenged me and that is a good thing. 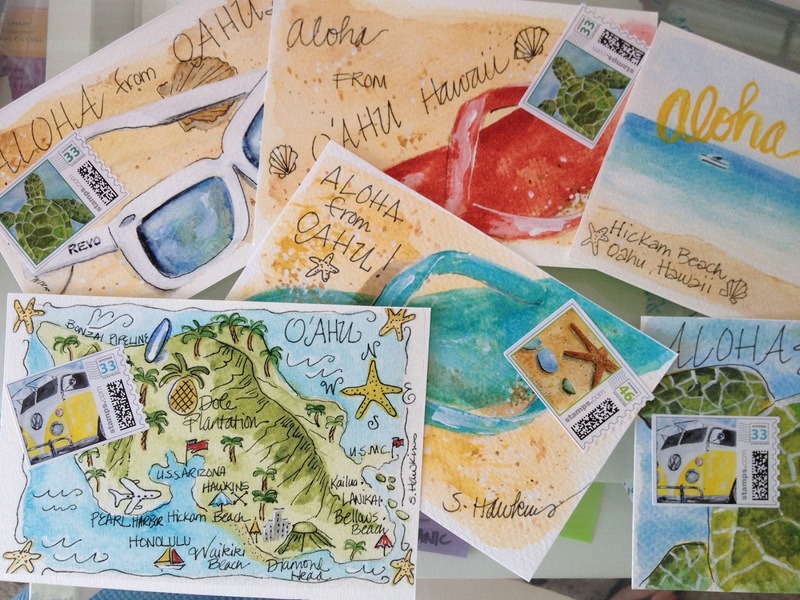 The watercolors are now in the mail to Hawaii. For the past year, I have been irregular at best with my painting and blogging. A few things came up that required my attention and were more important than painting. My mom has been in chemo and I go out of town a lot, so I just re-prioritized my life. Things are settling down a bit so I am going to try to get back to daily (at least weekly) painting. 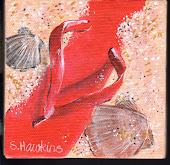 I have tried to get around to my fellow artists' blogs and see what's going on- but that has been spotty also. Hope to see what everyone has been painting- and get back in touch! Section 1 (left side) 23" X 25"
A triptych (/ˈtrɪptɪk/ trip-tik; (from the Greek adjective τρίπτυχοs ("three-fold"), from tri-= "three" + ptysso= "to fold") is a work of art (usually a panel painting) that is divided into three sections. 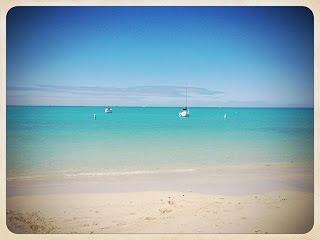 I am starting a huge project- a watercolor triptych of a beautiful beach on Oahu. 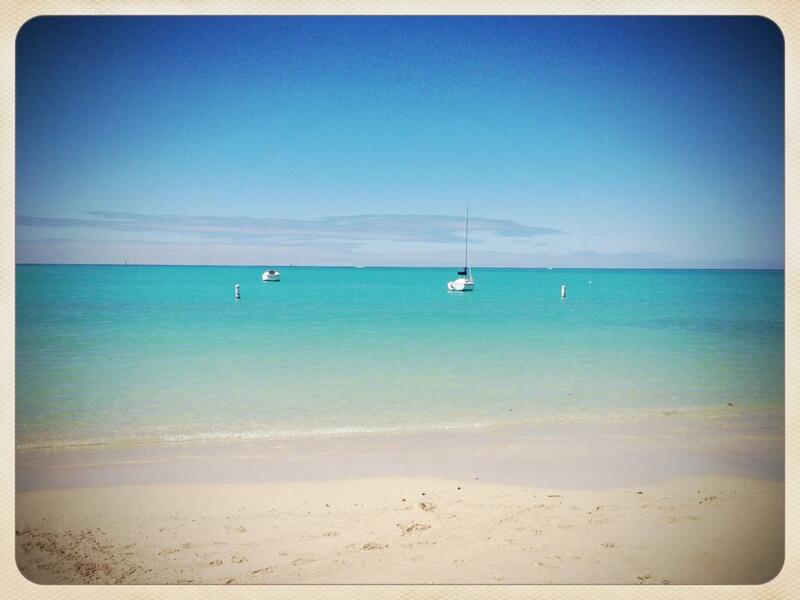 The reference photo was taken by my beautiful daughter in law of the beach she goes to on base (Pearl Harbor/Hickam AFB). The total width will be 100" across and 23" high. Usually, what I call a large watercolor is 18 X24". This is definitely a new challenge for me! I am starting with the end sections to get the feel of it (besides, I am terrified of the 50" wide center piece- reloading my brush in the midst of painting water, etc.). So- I have a question about artists and how copyrights affect our art. 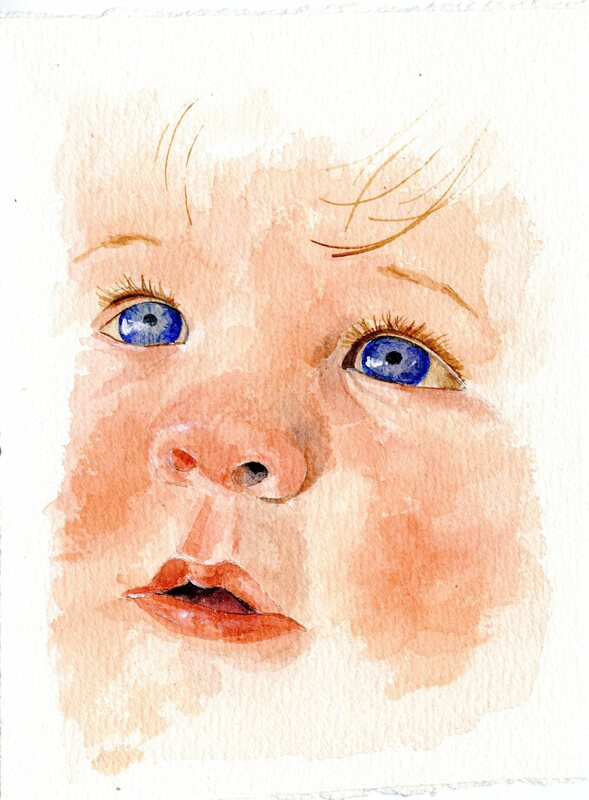 I am VERY careful about not copying art of other artists, and paint my paintings from photos I take myself. I would hate it if anyone copied my work, and would not do that to another artist EVER. Well- I have some NYC subway tokens and thought they would make fun charms for my jewelry in my Etsy shop. I looked around the internet - I saw many jewelry items using subway tokens, so I thought it was okay to use them. After all, I am not trying to sell them to use on my subway- or saying that I designed them myself. I am in no way claiming that I am affiliated with the MTA- or selling them as a token, simply as a piece of art. My question is- how can recycling a subway token hurt the MTA in any way? I think I am free to sell these out-of-use tokens on ebay or at an antique store, so why not as a charm? This necklace has been listed on Etsy for some time and out of the blue, I find out that it infringes on a trademark and I cannot sell it. My main problem isn't that I cannot sell the necklace, but that MANY items like mine are available with a simple Google search. Maybe I should have one of these other artists sell my item for me since they are free to sell them.